With just 3 simple ingredients that may already be in your pantry, you will be creating an excellent topping for any dessert. Made with natural ingredients and unrefined sugars this vegan syrup is guaranteed to make any dessert taste extra rich and delicious. It has been a loooong week. I try to post every Monday, Wednesday, and Friday, but since I added wedding planner to my extensive list of duties, I was unable to create, write, take pictures and edit my latest recipe in time. It is only a day late. 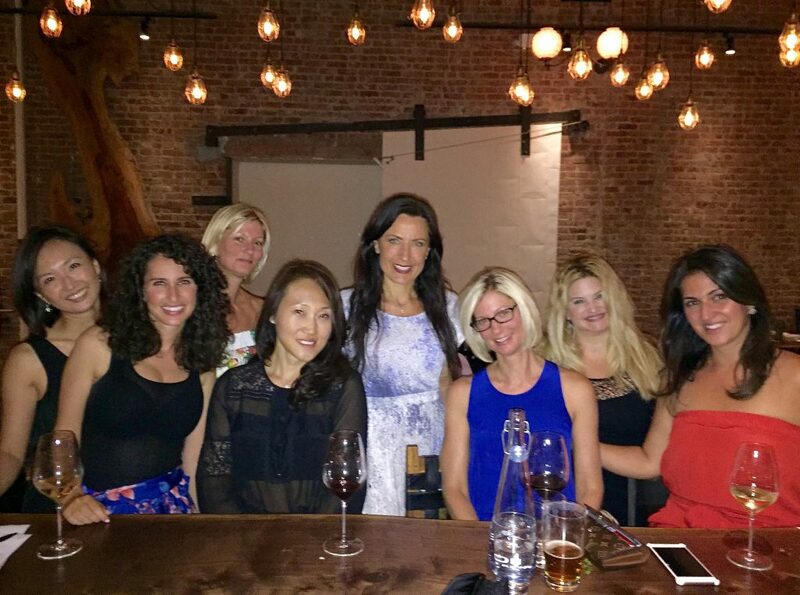 Despite my hectic schedule, I was able to slip in a fun girl’s night with a few friends. For my sanity, I need to socialize with people that are not dependent on me for everything like my kids and cats. Especially now since I am no longer a baby making machine. Planning fun excursions are also on the agenda this summer because they give me something to look forward to and break up the monotony. 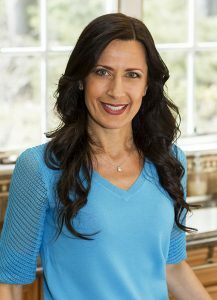 I am excited to share some of my great escapes with you. 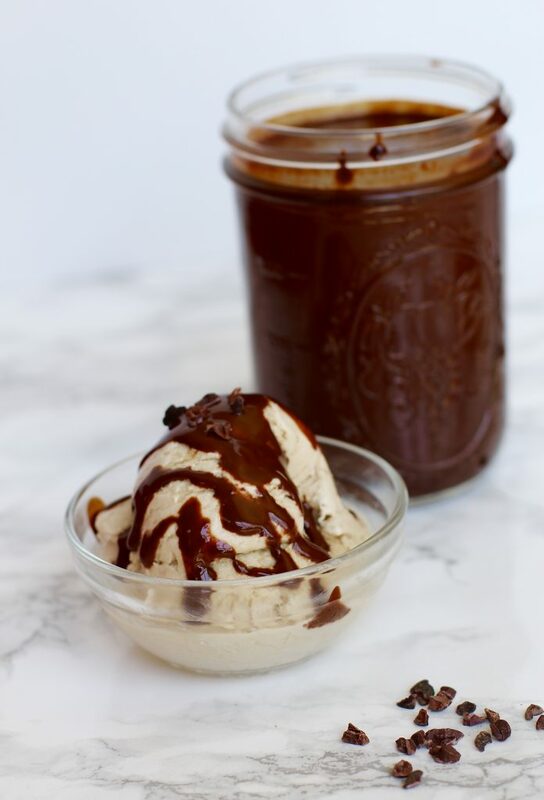 Since I have been on a dessert kick lately, I thought I would look into creating something simple yet mouth-watering to go with the Vegan Cashew Ice Cream Recipe I recently posted. Time is of the essence because my latest post is already a day late. 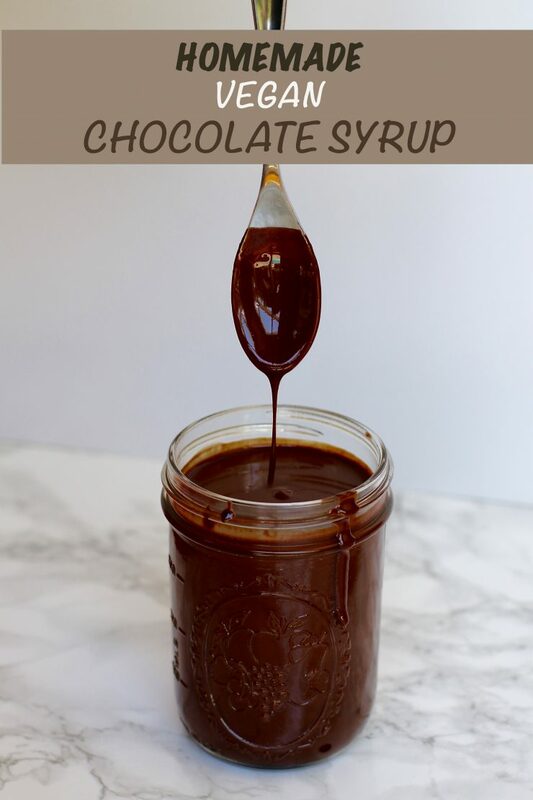 What better topping to make than this simple chocolate syrup? 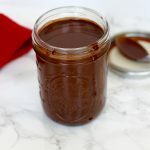 Heat the syrup and the milk in a pan, add the raw cocoa powder and presto… vegan chocolate syrup! 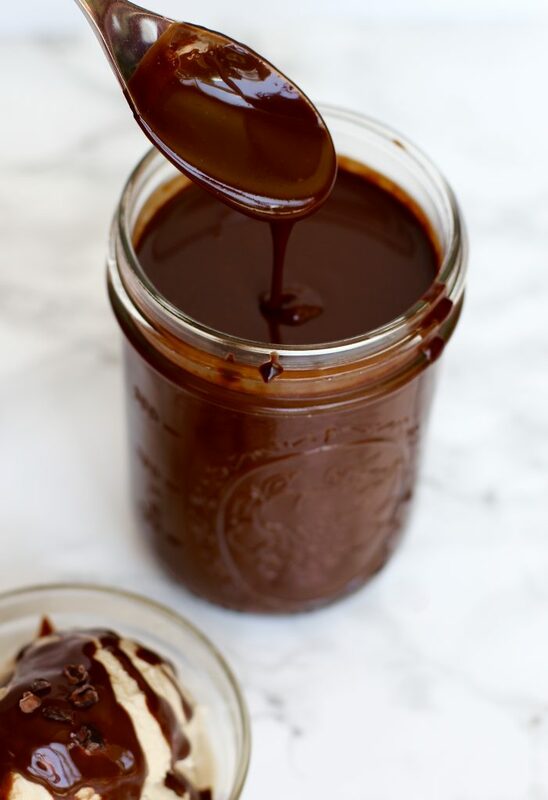 The great part about this syrup it is not merely a topping, you can also add it as a flavouring to make chocolate milk, chia seed pudding, chocolate and banana smoothie… the possibilities are endless! 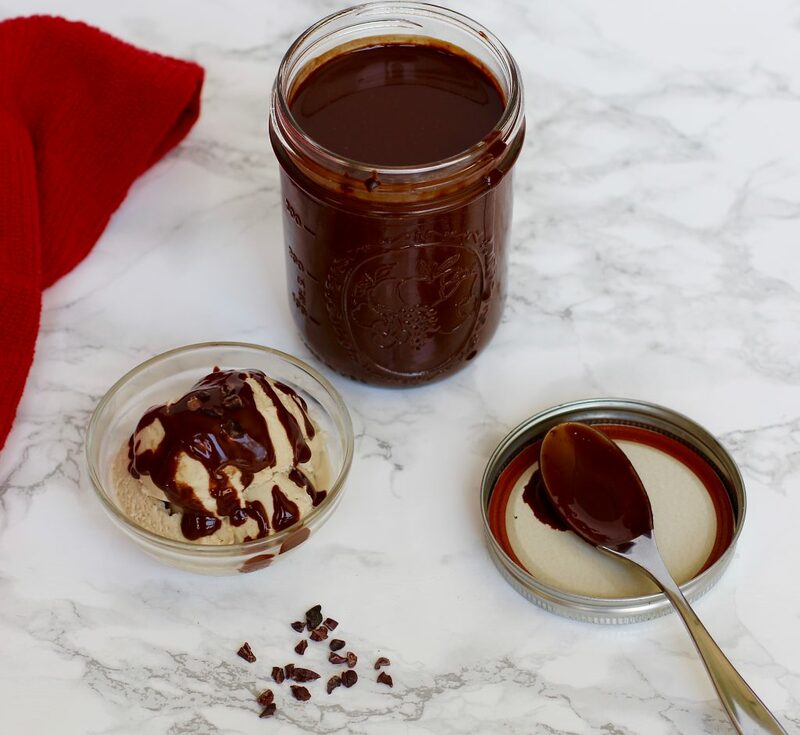 Rich and decadent, this chocolate syrup makes a wonderful topping on any dessert. Using natural sweeteners and vegan ingredients makes this recipe a much healthier selection. In a small pan combine non-dairy milk (I use unsweetened almond milk) and maple syrup and allow it to simmer for a few minutes. Slowly whisk in the raw cacao powder and let it cook for about 5 - 7 more minutes. Transfer the sauce into a clean jar and allow it to cool before placing it in the refrigerator. You can serve it cold or warm over ice cream. Enjoy! Do you like chocolate syrup? Do you have any fun suggestions for my next adventure? I could see you rock climbing. Maybe that will be your next adventure. I actually never tried rock climbing but I would love to try it!